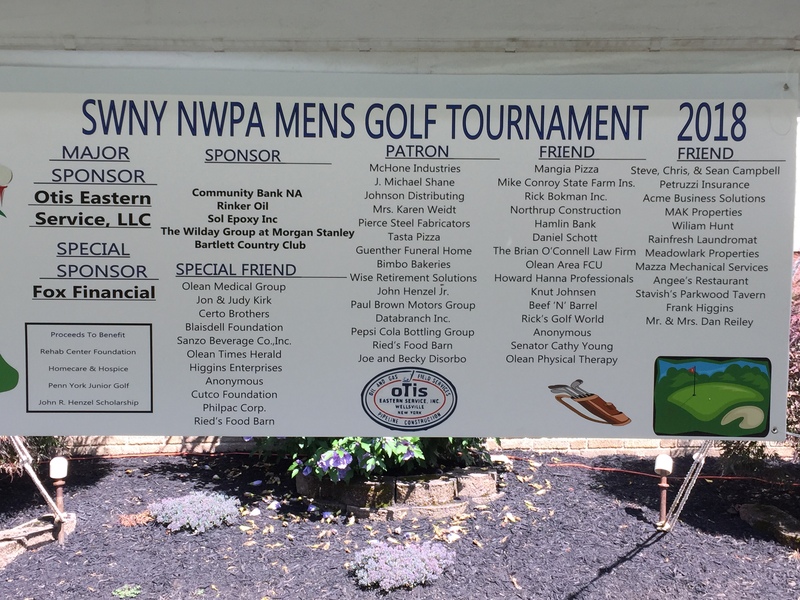 The SWNY-NWPA Men’s Amateur Committee extends its sincere thanks and appreciation to our 2018 Sponsors for their continued support of this golf tournament. Next year’s dates will be AUGUST 7 – AUGUST 11, 2019 at Bartlett Country Club. One thing that will definitely change next year will be the Over 60 flight, it will be either a 16 man or 32 man flight depending on the number of entries(23 in 2018) and if they choose Over 60 they will not be able to deviate out of that flight. Another possible change is to add a 45 to 59 year old 8 man consolation flight like the over 60 flight has been run the past 2 years. As this tournament get’s older we have to roll with the times and the success from the Over 60 has shown that there are possibilities for the 45 to 59 year old 8 man consolation flight. See you next year!